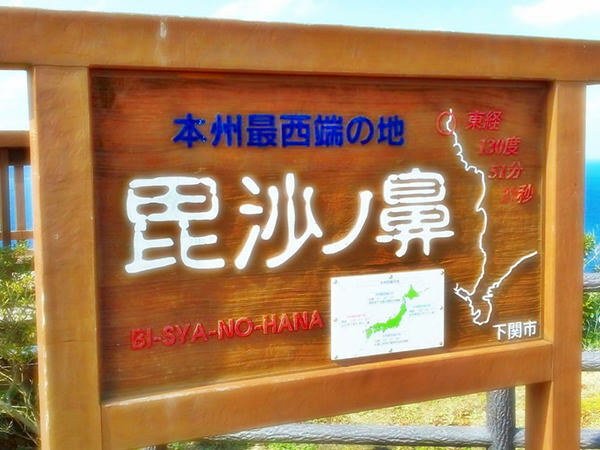 Bisha-no-hana is the westernmost point of Honshu Island (refer to #062). 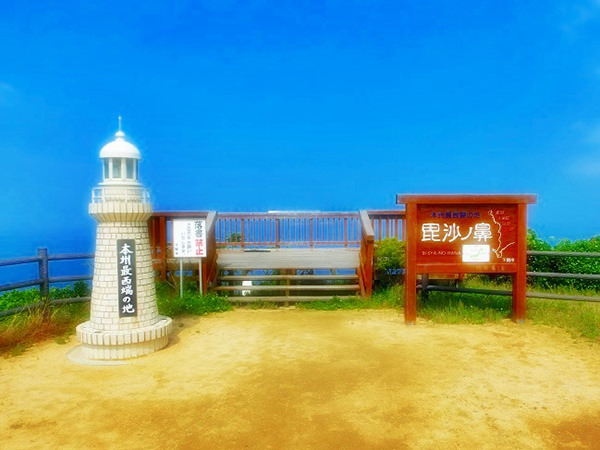 Located in Yamaguchi Prefecture, it is overlooking Hibiki-nada, the northwestern part of the Kanmon Straits. The cape has an observation deck, where a monument indicating the westernmost part is standing. Anyone who completes the visitations of all of the four (northern, southern, eastern, and western) extremities of Honshu Island can receive a certificate and a souvenir commemorating the achievement.